Anyways I am back with our 25 Days of Giveaways! Today is Giveaway 11 and it's from My Bling Place! Launched in August 2013, My Bling Place will take care of your custom and ready made bracelets, rings, hair clips, lanyards, key chains and more! Coming soon necklaces and pet collars! We received two bracelets for review. My daughter is Frozen OBSESSED so of course I had to get her a Frozen Necklace. And I am always looking to bling myself with all things Scentsy when I do a show so I went with a Scentsy bracelet! Upon looking at the bracelets when we got them I thought for sure this wasn't going to fit me but trying it on it fit perfectly! There are a lot of holes on the band so it'll fit wrists of all sizes! The charms slide onto the band easily and are held in place by two small bands. I was really surprised about the weight of the bracelets! The charms add the weight but it's not too heavy even for kids to wear. Whether you are looking to support a local charity, your direct sales business, your name or anything you want to show off proudly check out My Bling Place! They have lots of different options and if you don't see it ask if you can have it customized for you! And thank you to My Bling Place we have a giveaway for you! 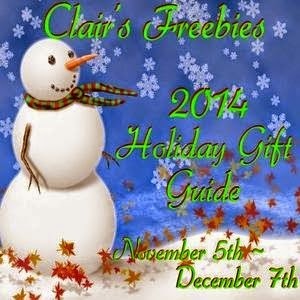 One lucky Clair's Freebies Fan is going to receive a $25.00 to use at My Bling Place! Enter for your chance to win using the Rafflecopter below! Good Luck! I like the Believe glitter bracelet! I like the custom bracelets. I would pick the black wide band with my name for the bling! I really like their keychains! I will choose a black glitter keychain with my new married name on it to celebrate that we got married yesterday! Love the blue keychain! I need a new one! I might get a bracelet with our granddaughter's name. I would choose a bracelet with Hello Kitty charms for my kiddo. I think I would get the Frozen bracelet for my daughter and also maybe a personalized one. I would get a design your own thin band bracelet for my niece. I would love to get the Let It Go Thin Glitter Bracelet for my daughter! She would love to be able to show it off to her friends! I would choose the Ravens Bling Bracelet. Let It Go Thin Glitter Bracele! I'd order a couple of custom made bracelets for me and my niece. I would choose the green crackle thin bracelet with the silver block letters that spell seahawks. I was kind of sad to see that they didn't make the cut with her nfl section. oops, my bad, I missed it. I would choose the seahawks wide bracelet.